[FREE MP3] Michelle Williams "Love Gun"
While Beyonce is toasting to her fourth Billboard number one album and Kelly Rowland is gearing up for the release of her new LP on July 26, fellow Destiny's Child member Michelle Williams has also been working on some brand-new music that she's has started to unleash this week. Following her 2008 album "Unexpected," Williams decided to continue making R&B-infused dance pop with a message of hope and positivity that she refers to as "inspiration pop." Think of Katy Perry's 'Fireworks' or Natasha Beddingfeld's 'Unwritten,'" Williams explains in a press release. "It's music with a message but at the same time fun and will get people dancing." 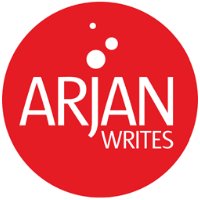 A good example of that is the brand-new "Love Gun" that she is sharing with the readers of ArjanWrites.com. Produced by up and coming soundboard man Druski, "Love Gun" is sparkly slice of dancefloor pop (featuring some banging chord progressions) with lyrics about falling head over heels in love after getting hit by Cupid's bullet. The music and lyrics are an excellent match for Williams' soulful vocal and upbeat attitude. Grab it while it's hot.